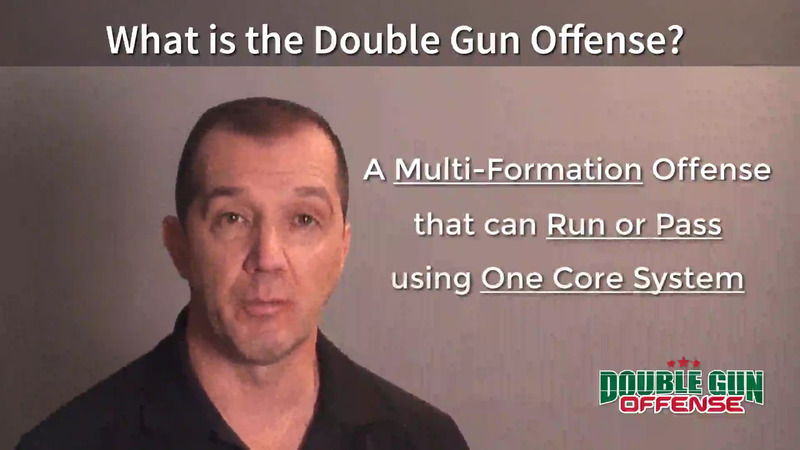 The Double Gun System is a complete and thorough offense that gives a coach everything he needs to be successful. 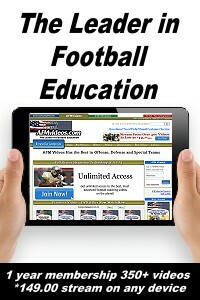 It is easily adaptable to a youth league program or high school offense. 4 full length videos including the philosophy of the Double Gun offense, complete and detailed blocking schemes, installation with formation and personnel selections, and a breakdown of plays. 20 individual play clips to give every coach a detailed idea of this offense. Documentation that includes a HUDL playbook PDF, HUDL practice sheets, drill diagrams, sample practice plans, and sample play call sheets. Also included is a starter kit Power Point presentation that features over 150 slides with practice game plans, plays, and formations. It is a complete system to ensure success on either the youth or high school level. I saw first-hand how the Double Gun offense was able to use two different styles of offense to compete with more established teams. Everything an offensive coach needs to be successful is included in this package. Contact Coach Stolfi with any questions regarding the DOUBLE GUN SYSTEM. You may contact Coach Stolfi via email address to get all of your questions answered on this system.